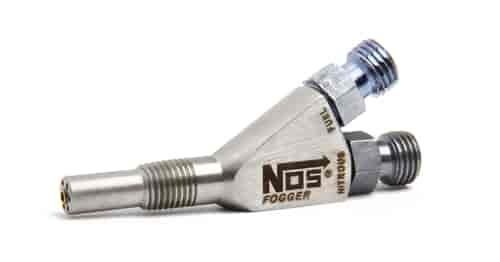 The original, patented fogger nozzle form NOS revolutionized the way nitrous oxide and fuel was dispersed into an engine. NOS Nozzles unique radial flow design and large orifice provide superior atomization of supplemental fuel and distribution within the inlet air stream. Several different designs and configurations are offered for both wet and dry nitrous systems to allow custom-tailored tuning on your specialized application.